This beautifully modern property was built in 2016. Suites all have their own washer and dryer. Providing all the conveniences in your own spacious suite. 9 foot ceilings are an added bonus in these larger than expected suites. Receive up to $2,400 OFF on select suites. Worry free living is embodied with all your wants and needs fulfilled at The Edge. 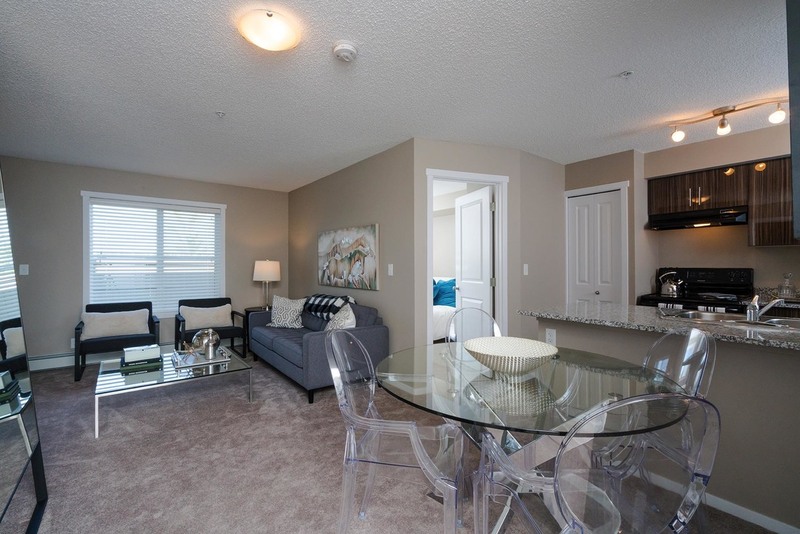 Suites include the essential fridge, stove, dishwasher, washer& dryer and spacious balcony. but it doesn’t end there. All the finishes from the counter tops to the flooring are premium quality and ready for you. The Edge is a family friendly building and additional storage is available. 1, 1 + den, 2 and 2 + den bedroom suites available. Located in the Allard community, The Edge is close to public schools, walking paths, shopping, entertainment, restaurants, Ellerslie Road, the newly built Real Canadian Super Store and the Anthony Henday Drive. Close proximity to Leduc, Beaumont, Edmonton International Airport (YEG) and 41 Avenue overpass. Easily accessible to public transportation.